As the world celebrated International Women’s Day, respondents to a civil case filed by a mining company against the environmental defenders of Canawayon in the island of Homonhon in Eastern Samar and the entire membership of the Homonhon Environmental Rescuers Organization (HERO) celebrate a small triumph as the presiding judge of the Regional Trial Court Branch 3 in Guiuan, Eastern Samar issue an Order of Dismissal. “We are very happy to receive this good news on Women’s Day”, one of the women respondents of the case opined. We feel relieved. The case has caused us psychological and emotional trauma and has burdened us since. God is good. We are thankful that our NGO partners are relentless to provide us the needed help. This is another obstacle off our struggles,” she added. “We were caught by surprise by the sudden withdrawal of the civil case filed against dissenters of environmental and social injustices in Homonhon Island noting that this is the third case filed against HERO officers and members by MSMEDC. They are too aggressive to put us in jail but just like in the first two cases (Arson and Robbery in Band), they failed,” stated Billy Abueme, President of HERO and one of the respondents in the case. 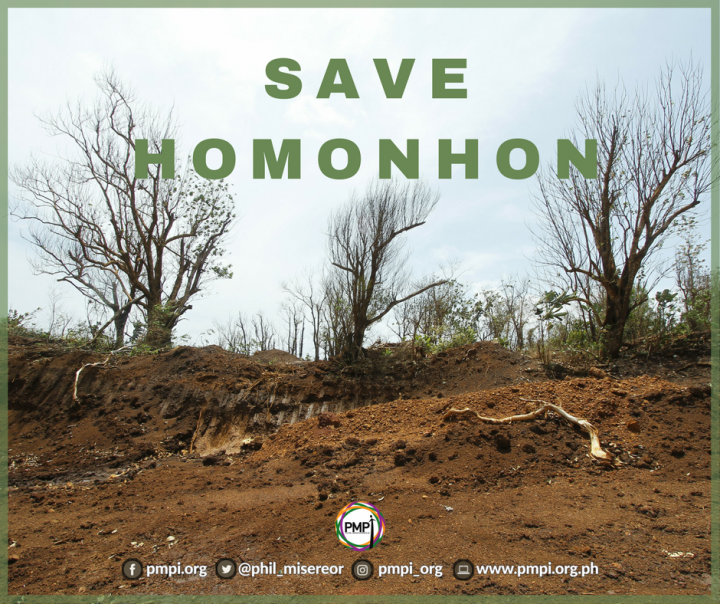 “On one hand, we consider that MSEDC may have come to a realization that environmental and human rights defenders of Homonhon are determined to pursue unconditional justice for the island and its people. That the efforts of these defenders are strengthened by a steady support from HERO’s partner NGOs, CSOs, the Diocese of Borongan, and individual supporters to sufficiently oppose such actions. On the other hand, we never believe that this is an act of goodwill as we see and feel their persistence to further induce lasting sufferings to the people of Brgy. Canawayon and Homonhon Island as a whole,” he added. It can be recalled that Mt. Sinai Mining Exploration and Development Corporation (MSMEDC) filed a case for Damages with prayer for Temporary Restraining Order against 16 residents of Canawayon who are all members of HERO, allegedly for damages and losses incurred by the company because of their protest actions. The Environmental Law Assistance Center (ELAC) which handled the case for the respondents motioned that it was a Strategic Legal Action Against Public Participation (SLAPP) suit meant to harass these islanders who are against mining operations in their barangay. Meanwhile, in Manicani, another island in Guiuan, the Protect Manicani Island Society, Inc. (PROMISI) who had been at the forefront of the struggle against mining in their island rejoiced as two (2) of their members who were imprisoned for murder in connection to their struggle were finally released to live with their families. “These recent developments are proof that justice is still possible for everyone. It should serve as an inspiration for all of us to resist the dominance of capitalists and self-serving politicians. We should not fear but instead, let us unite and let our voices be heard even as many of our LGUs continue to endorse mining operations in Manicani and Homonhon islands without hesitation and despite our oppositions,” said Fr. Odick Calumpiano of the Diocese of Borongan who had been at the forefront of the church’s campaign support for the struggle of both islands. The Philippine Misereor Partnership, Inc. (PMPI) continues to support both islands in the rehabilitation and development of the same through its Project Pagbangon. “We consider this dropping of the case against members of our partner people’s organization as a milestone and a step forward to the narratives of victories on environmental struggle. May this inspire other communities not to waver in their struggle to protect their homes against development aggressions. Salute to all environmental defenders especially to all the good women and men who stood their ground in defense of the environment and human rights,” said Yoly Esguerra, National Coordinator of PMPI. PMPI, the Diocese of Borongan, and ELAC have been working closely in supporting the environmental campaigns of both islands.